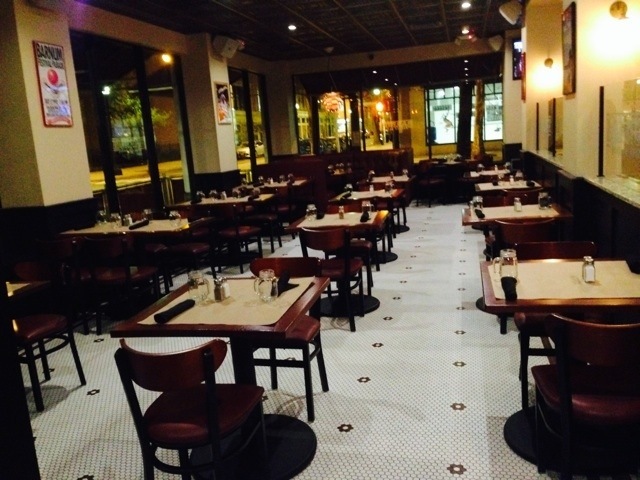 On the corner at 1020 Broad Street in Bridgeport sits a new neighborhood restaurant that pays homage to the city’s famous history while creating a modern atmosphere of casual modern Americana – Barnum Publick House. 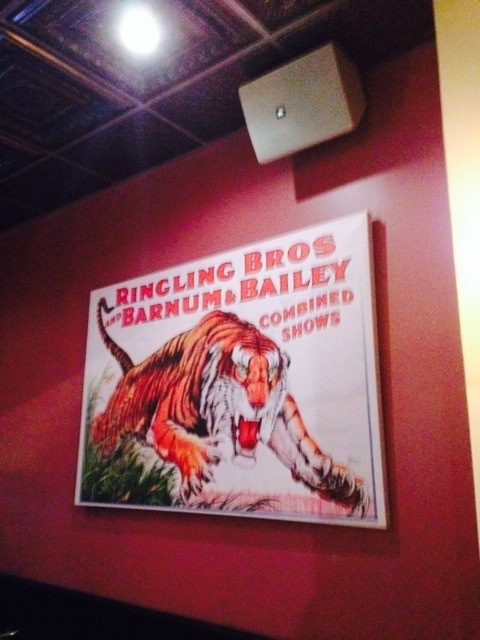 Named for PT Barnum, the world famous showman who is best known for founding what we know today as Ringling Bros. Barnum and Bailey Circus and for developing Bridgeport in the 19th century, the recently opened Barnum Publick House is a welcome addition to the city’s emerging restaurant scene. 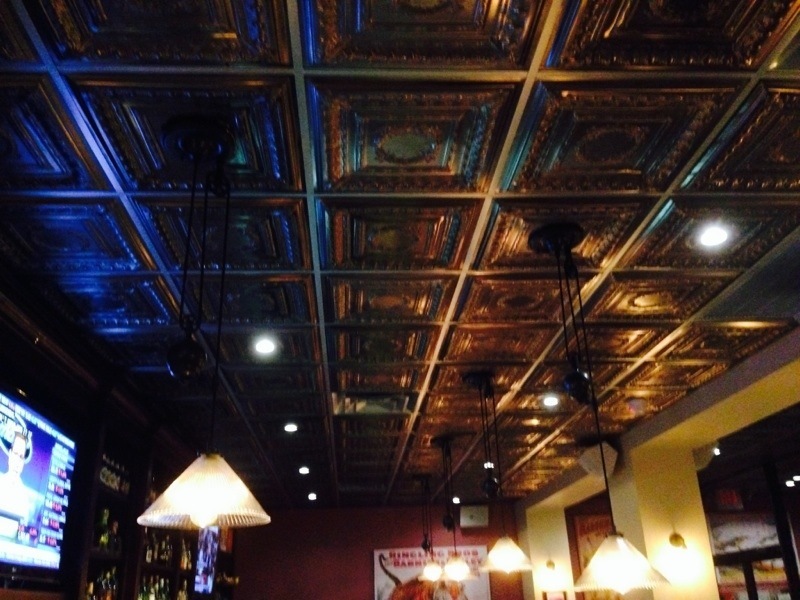 I was pleasantly surprised by Barnum Publick House’s decor, which is described as a traditional tavern meets a modern restaurant. When you walk inside you will immediately notice the mosaic floor tiles, antique tin ceiling panels, Edison light bulbs, black and mahogany furnishings, white marble bar, and a panoramic window with a view of the busy downtown. 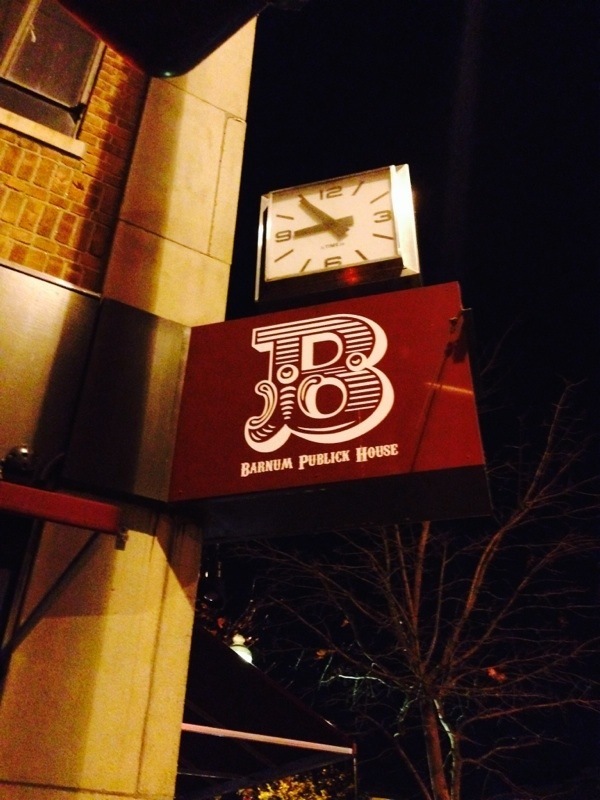 The details of Barnum Publick’s decor will make you feel like you’ve discovered an up-and-coming food spot, yet it’s size is small enough to be welcoming, as a neighborhood pub should be. 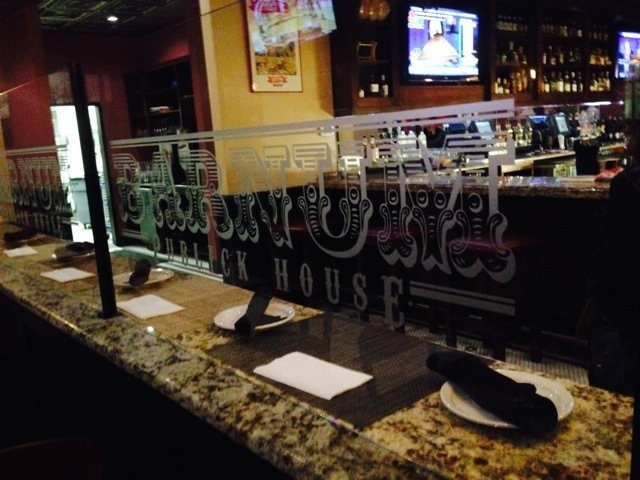 A unique, must-see feature of Barnum Publick House is it’s street side window with a view inside the kitchen – you can watch the busy staff busy at work preparing your meal! Barnum Publick House offers lunch and dinner, dessert, Sunday brunch (which I hear is pretty delicious and next on my “need to try” list), and drink/cocktail menus. 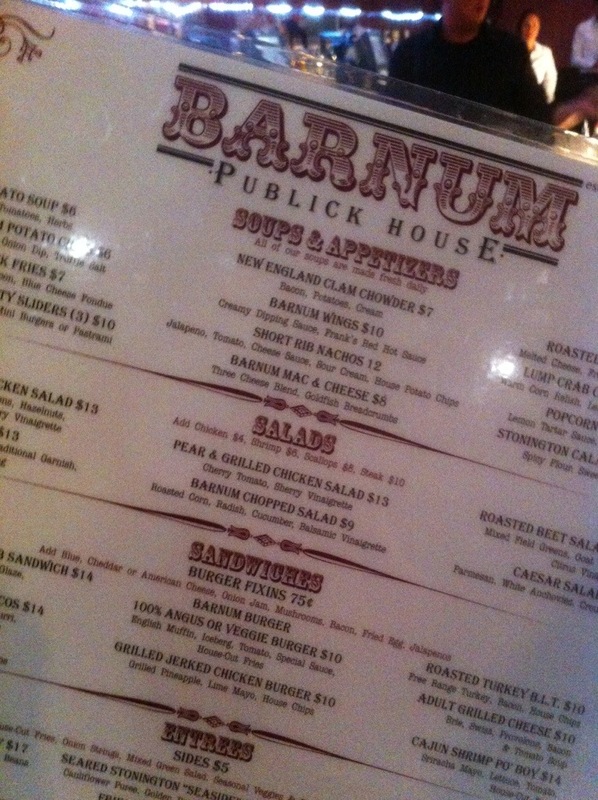 I was able to experience happy hour recently and I can’t wait to go back to try more of Barnum Publick House’s menus! 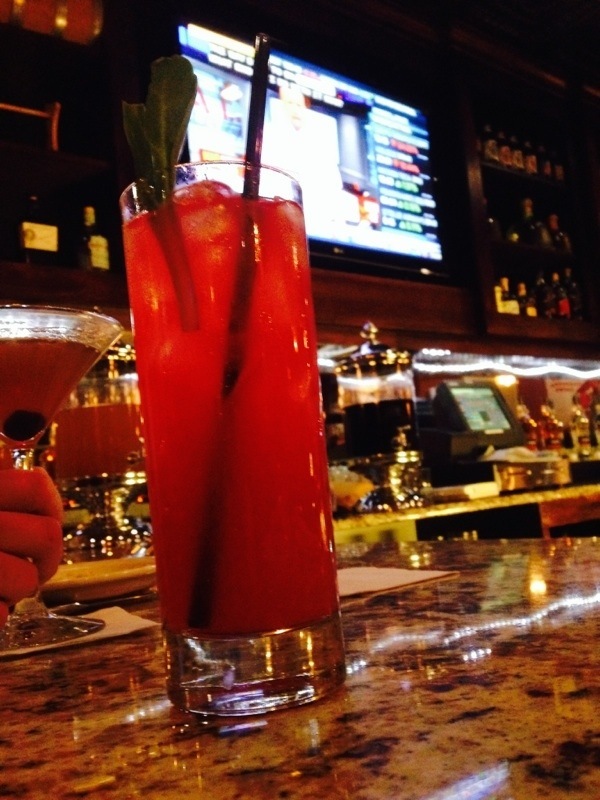 The drink menu at Barnum Publick House includes domestic wine, a craft beer selection that regularly changes, and a creative specialty cocktail menu created by BootlegGreg, whose reputation for his creative and masterful mixology has spread through the local Fairfield County food scene. 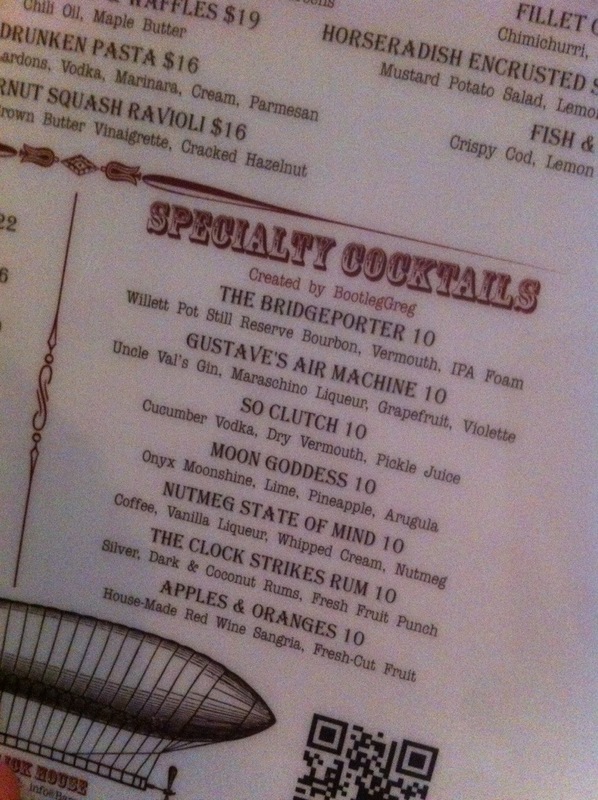 The three cocktails below are all from the Specialty Cocktail Menu by BootlegGreg. If the name of this drink doesn’t catch your attention its ingredients sure will. Made with cucumber vodka, dry vermouth, and pickle juice – pickle juice – the “So Clutch” has a hint of pickle flavor along with a hint of cucumber. You will notice the saltiness from the pickle juice and the dryness of the vermouth, which is very reminiscent of a dirty martini. 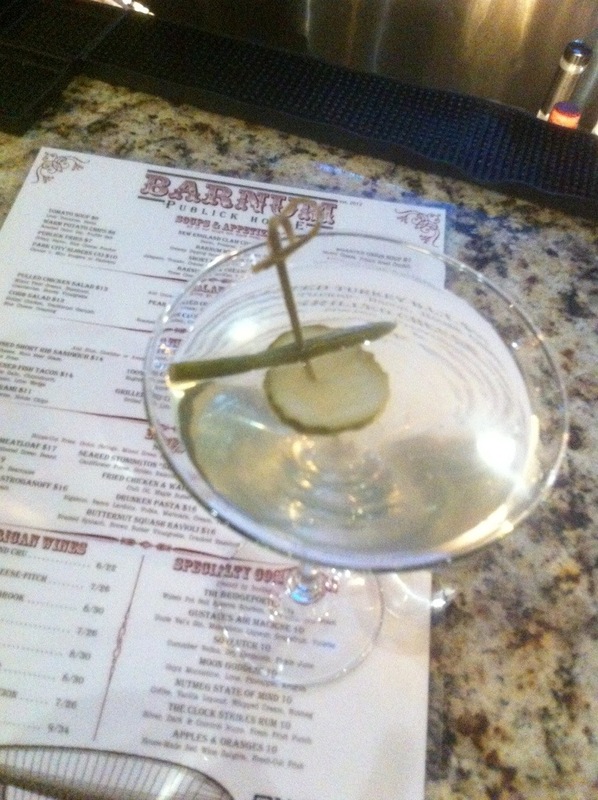 Now, I am not a fan of pickles or dry martinis (I prefer the non-traditional sweet martinis), and I liked this cocktail! The bartender shared that this drink is popular during the warmer months since it is a rather cool and refreshing drink. 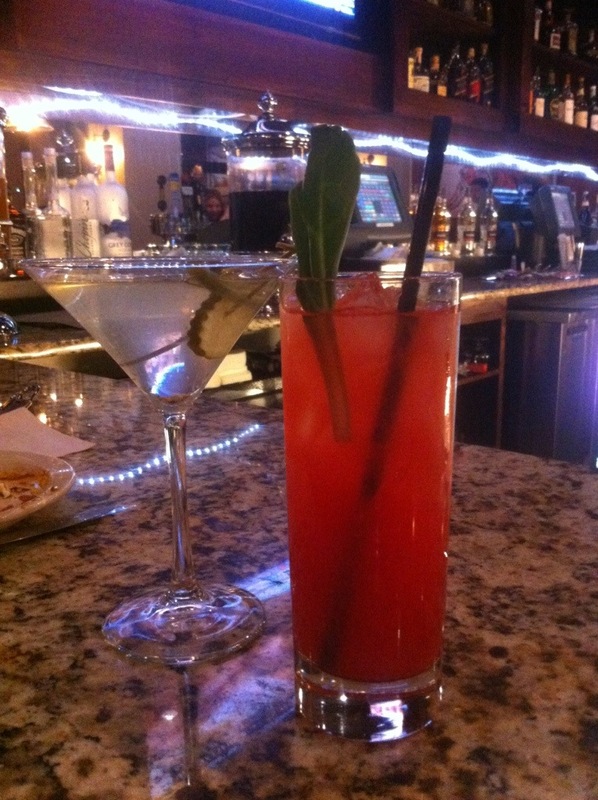 A fellow diner ordered and liked “The Clock Strikes Rum” made with silver, dark, and coconut rum, and fresh fruit punch. 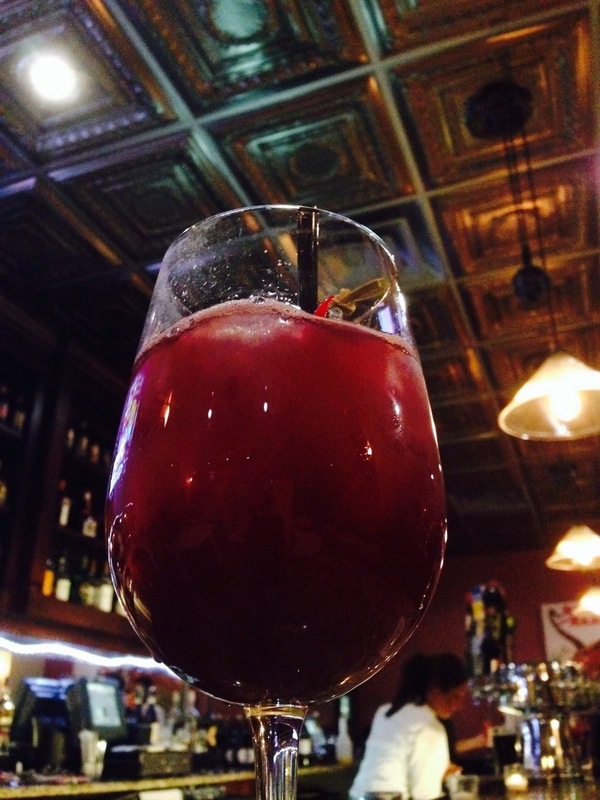 I ordered, and very much enjoyed, “Apples and Oranges,” the housemade red wine sangria with fresh cut fruit. Sangria sounds like a simple drink but it really isn’t; the right combination of ingredients must be well-balanced or you just have a glass of wine with fruit floating in it. The sangria at Barnum Publick is very good and something I’d order again. Under the direction of Executive Chef Jason Milanese, the food menu at Barnum Publick House offers American comfort food that is both as traditional and as modern as the decor. 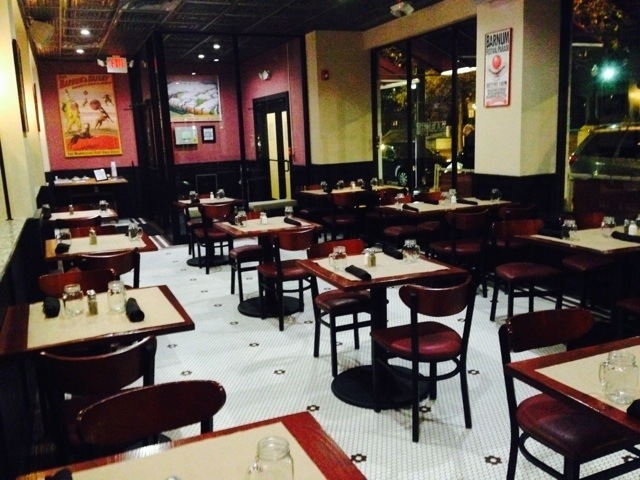 Some of Barnum Publick’s signature dishes include: beer and cheddar soup with bacon, warm housemade potato chips, lump crab cakes, bangers and mash, Barnum burger with special sauce, and seared Stonington seaside scallops. 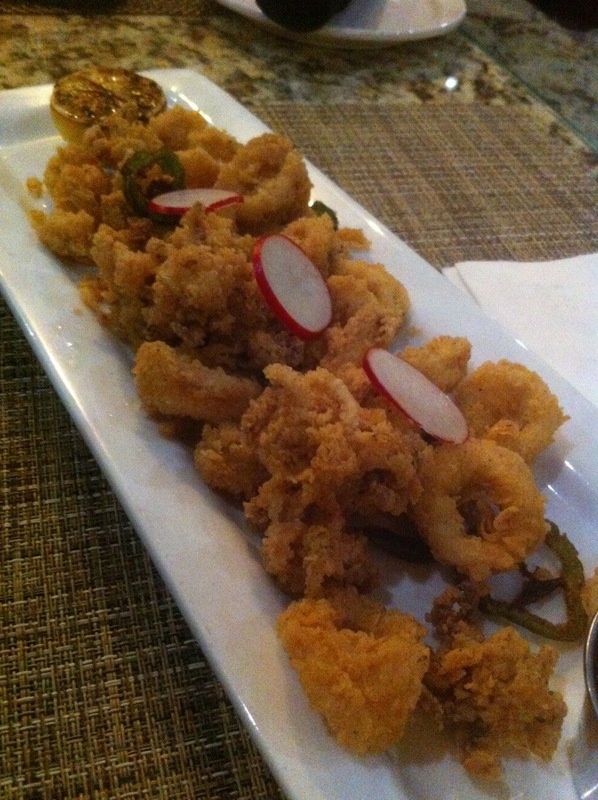 The calamari appetizer at Barnum Publick is made with spicy flour to give it a little kick and is accompanied by a sweet chili sauce for dipping. 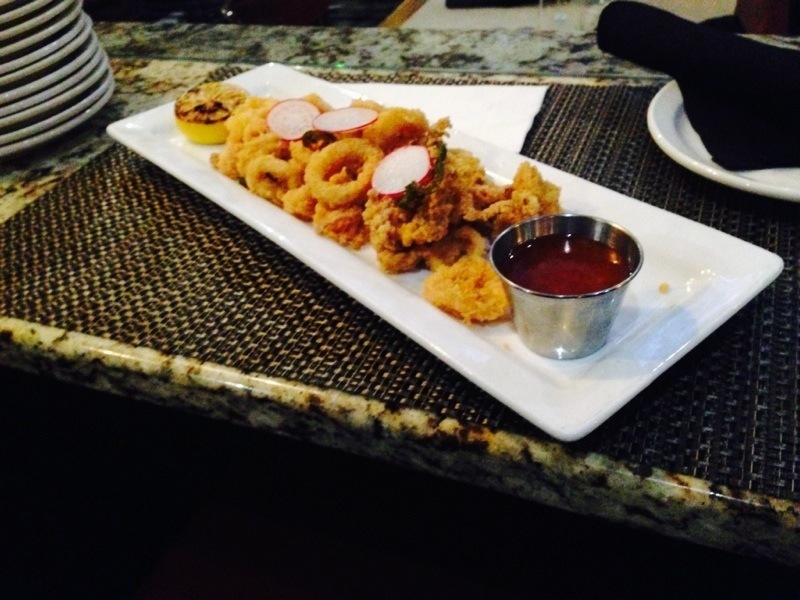 This appetizer was popular with our group and was eaten rather quickly. 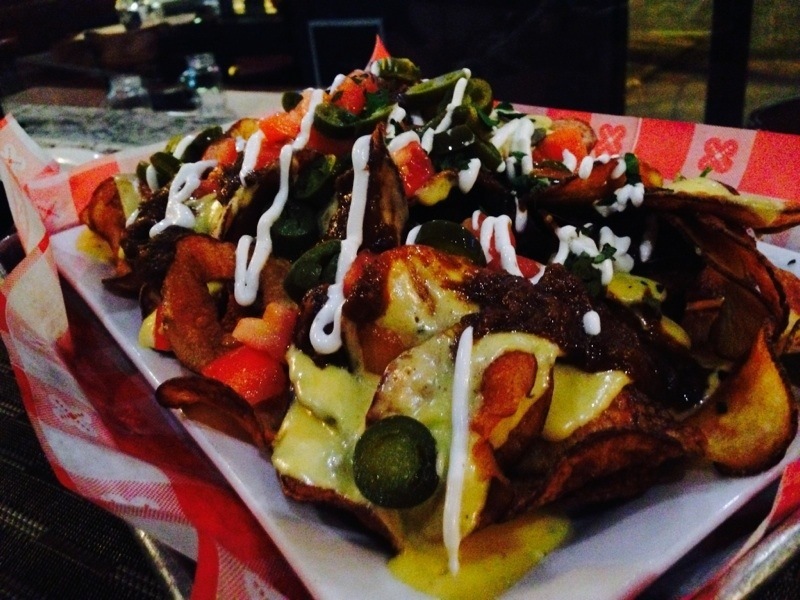 Nachos are a classic bar gnosh, and Barnum Publick’s take the traditional idea and gives it a little twist. 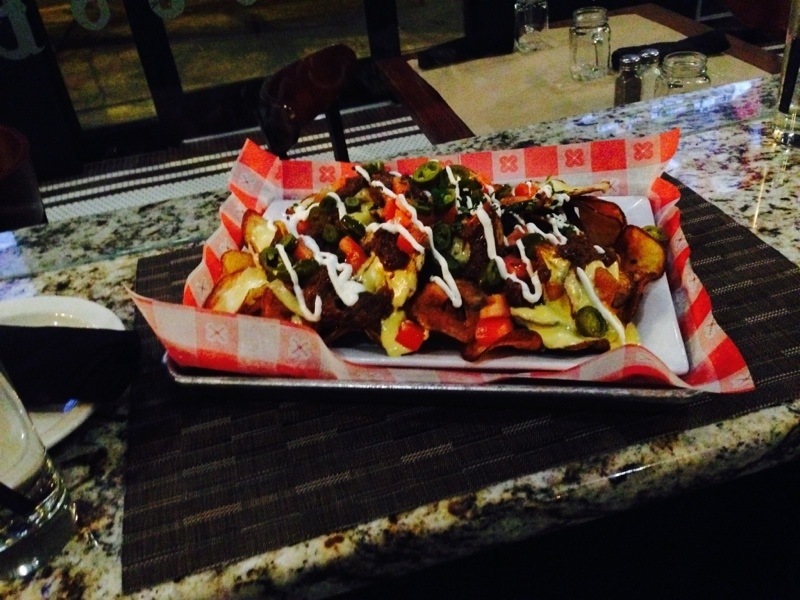 The Short Rib Nachos are unique for two reasons – the short rib and the warm housemade potato chips. 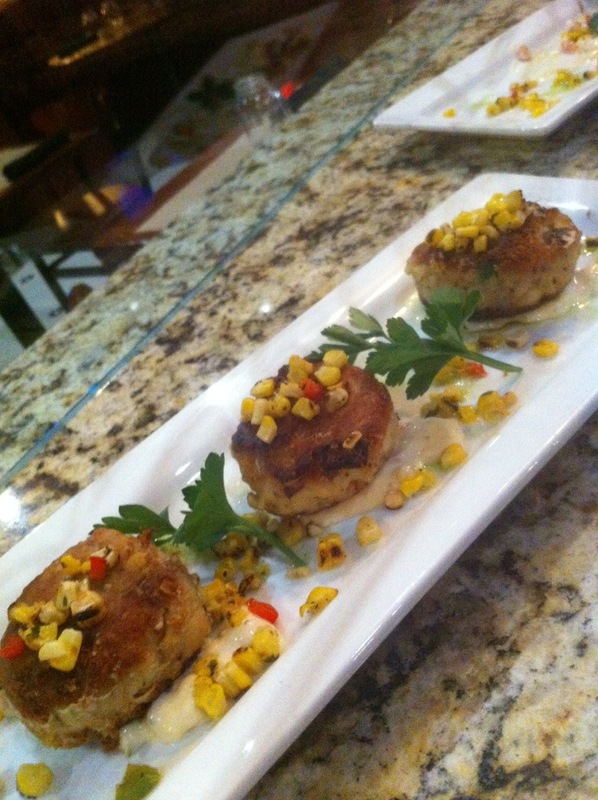 If nachos aren’t your thing, or you simply prefer something a little different for an appetizer, try the signature Lump Crab Cakes. 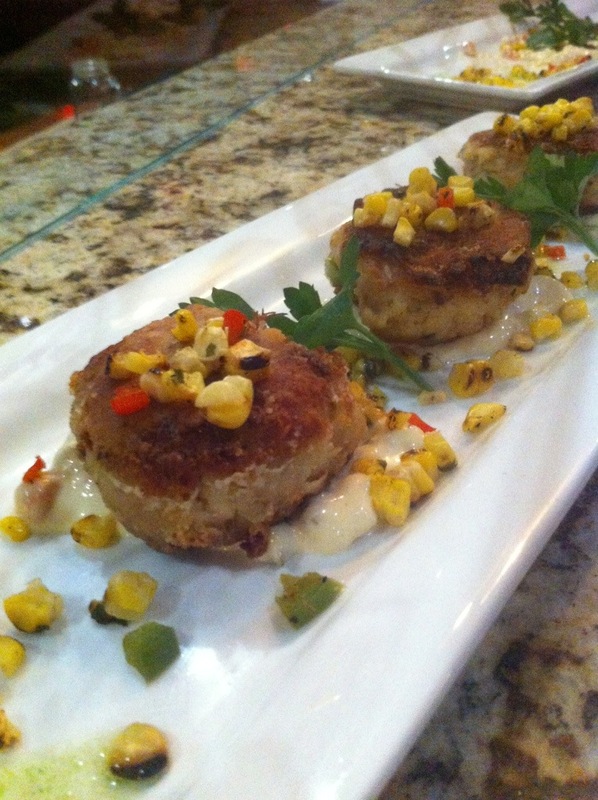 Garnished with a warm corn relish and a lemon tartar sauce, the Lump Crab Cakes had everyone oo-ing and ah-ing. 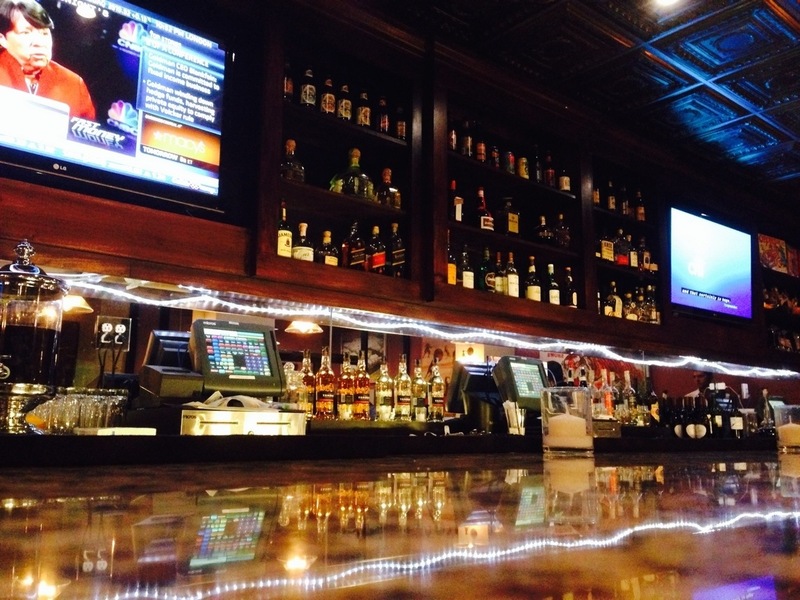 Hours: Monday-Thursday 11:30-9:30pm; Friday & Saturday 11:30-10:30pm; Sunday 11:00-9:00 and Sunday Brunch 11:00-3:00pm. 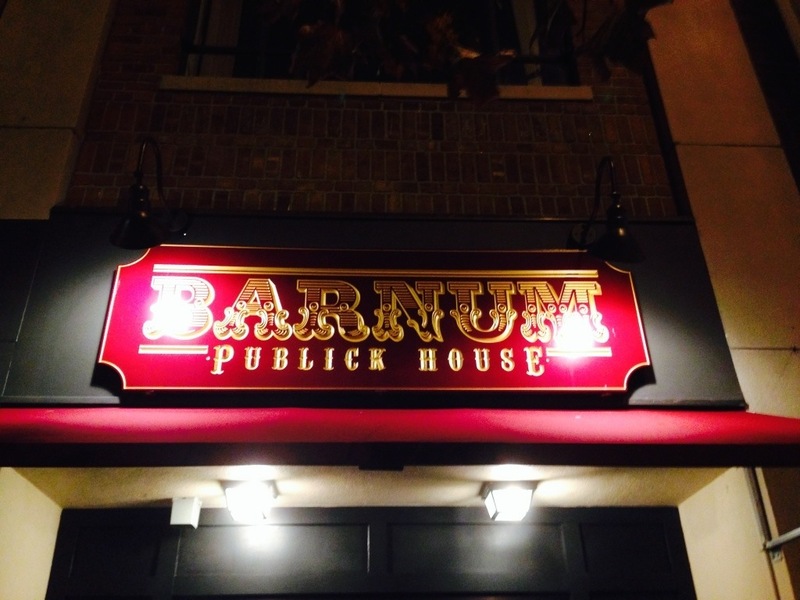 Disclaimer: We were invited to this sampling dinner by Barnum Publick House, however the views and opinions expressed herein are my own.